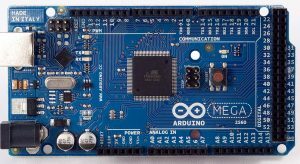 There are 2 main Arduino boards, the Arduino UNO and the Arduino MEGA. Both are very good boards from Arduino, and both have their pros and cons, mainly depending on the type of project you want to do, and what level of Arduino expertise you are at. This article will go through the technical specifications of each board, as well as the practical uses of using both boards. We will talk about both boards, as well as compare and contrast them for the project you are doing and the level you are at. 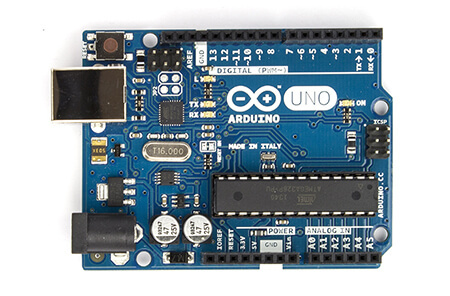 The Arduino UNO is the most common and well used board. Many online tutorials are written with this board, which makes this the easiest board for people learning Arduino. It is a robust board, which means it is harder to break or burn out than any other board, including the MEGA. Arduino.cc recommends this board is it your first time tinkering with this platform. It also states that the UNO is the most used and documented of the Arduino family, which makes it easier to learn and complete projects with. The UNO has a timer1, on PWM pins 9 and 10. These will be used if you need to use a servo motor, or some motor control library’s will use this timer. This timer is enough for almost every project, and in the rare case you need multiple things to use a timer, you can either find a function to do the same task, or that is when you might need to use the MEGA. To buy this board, you can use Amazon (sold by Arduino), or Arduino itself, as well as other sellers that can be found. 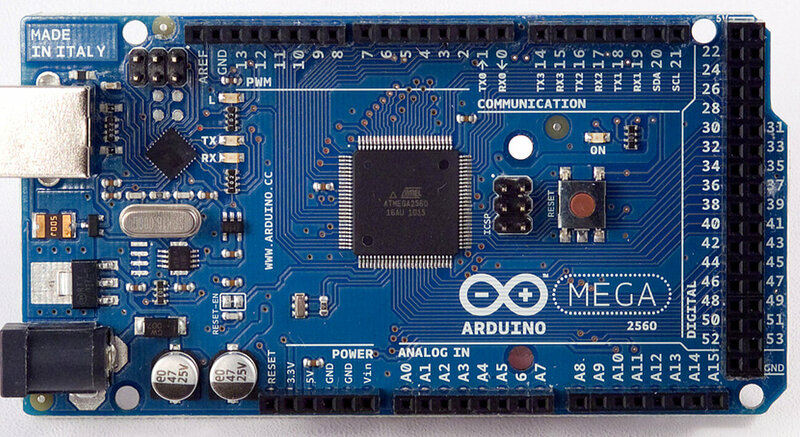 The Arduino MEGA is designed for more complex projects as compared to the UNO. It has more than double the pins from the UNO, including more Analog I/O pins and PWM pins (you can see the exact amount more below in the comparison table). This gives you plenty of room and opportunity for a lot of connections to the board. The MEGA has timer1 on PWM pins 11, 12, and 13, and timer3 on PWM pins 2, 3, and 5. This is useful if you need to run a lot of external items, such as multiple servo motors and DC motors. This is not a requirement to use the MEGA, as you can run servo motors through the servo library, which uses timer1, and DC motors do not need the timer, unless you plan on using another library which would conflict with the servo library, but this is a very specific case, and you most likely do not need to worry about this. Overall, the Arduino UNO would be the board I would recommend. If you are just starting, or you might need some help for your board and project, then the UNO has the most resources and is the best documented Arduino board. The MEGA is good if you need multiple timers, and more than double the amount of pins than the UNO has. Most projects will work great with the UNO, and there is a lot more stuff for the UNO, including motor shields (I have used the Seeed Motor Shield), which I will talk about in the future! Below is a table comparing many stats and specs of the UNO and MEGA. This includes a pin count, power comparison, and more technical specs if that interests you.